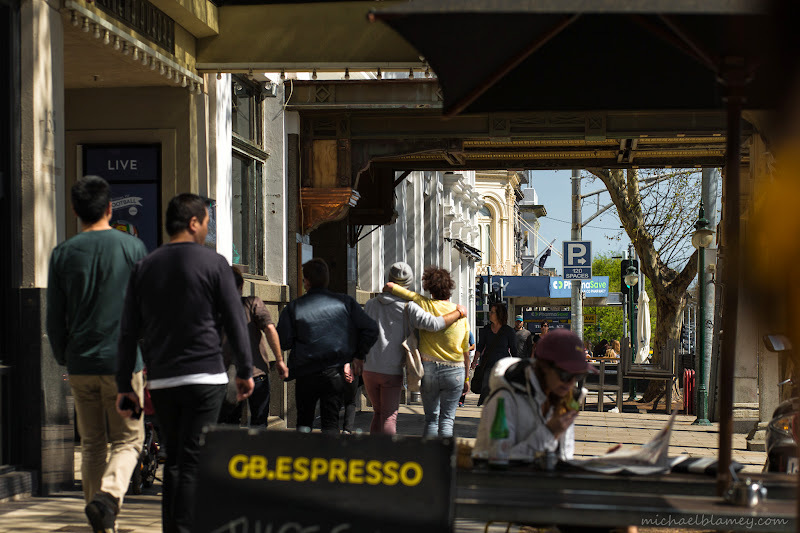 St Kilda Today: Spring's back - warm enough for the street again — at Fitzroy Street - St Kilda. Nice to hear that. It is the opposite in Stockholm, this Sunday will be the last warm day for a very long time according to the meteorologists.